The story is a heartening tale of how past relationships, when broken without a proper closure, can come back to haunt the present. Her strength, as always, is in portraying real, believable characters and events that can happen in anyone’s life. The characters in the book are as real as it gets. For example, when Aman engages in a one-night stand, just to exorcise the ghosts of his past relationship with Shruti, it is believable, because it is what most guys would do. This is the story of Aman Mathur a young, good-looking man, successful in his career and after a brief stint in UK for 2 years; he’s all set to return to India. But an accidental relapse into his old memories sends him tumbling back to his past, to the wonderful 4 years of his life that he spent with Shruti, his heart throb. Shruti is the girl with whom he spent some wonderful moments, yet he could not have her. Without her, Aman had never envisaged his future. But it was Shruti who had walked out of his life, leaving him shattered and heart-broken and just when he thought that he had moved on, the ghosts of his past return to haunt him. Shruti, now married to Rishabh, is content and settled in her role of a married woman. But a day doesn’t pass in her life without the memories of her perfect relationship with Aman prowling her banal and mundane day-to-day life. Will Aman finally get back with Shruti or will he rest the ghosts of his past relationship and move ahead by accepting Anjali’s love and warmth in his life. Read this touching and heart-warming tale of love, relationships, pain, healing and moving-on in life. Seems so real and of today’s world. I won’t say much about those chapters as I don’t want to spoil it for the readers but I just loved the way the book ended. It was a perfect climax for me. The climax was quite interesting with twists and turns to unfold the same you need to read this book. The concept of the story is really nice and absorbing. This is a good work done by the author for writing such an arresting work of fiction. The author does not deviate much from the plot. The narration is crisp and manages to hold onto the reader’s interest till the climax of the story. Overall, the book is highly recommended by me to all those who craves for romance mixed with fiction to pass their time on any given weekend. It will make you smile, laugh and cry. But most of all, it will infuse that romantic feeling that will make you fall in love with your loved ones all over again. Overall the book is good and very well expressed. I find a little disappointing that as other books had the similar kind of plot of past, failed relationships haunting the main protagonist’s present life. I was hoping to read something different in her next novel. I was wondering if she will discard her comfort zone and deliver another amazing and bestselling novel. 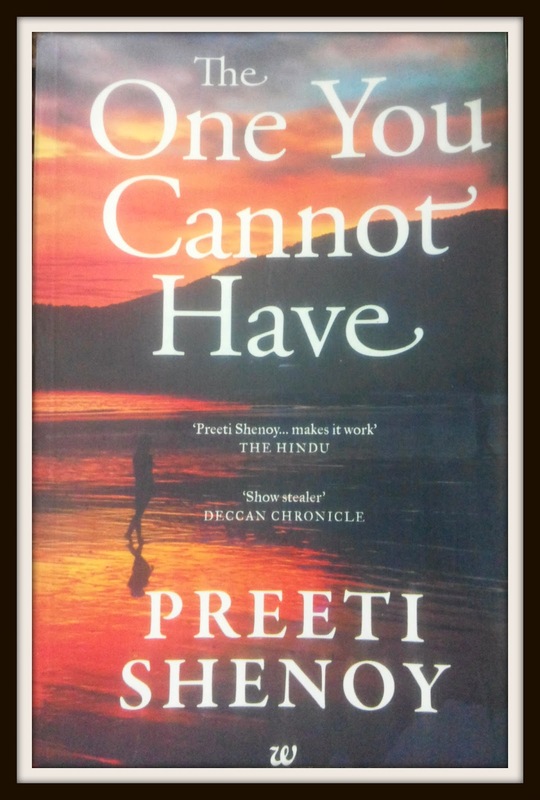 Overall if asked I would say...this is a touching and impressive fast-read that manages to keep the readers engrossed from the start to the last page of the book by Author (Preeti Shenoy) … I would give 3.5 stars to this book.